I myself am a big fan of their Schwarzkopf BS Oil Miracle Finishing Treatment that helps locks shine with health and vitality. 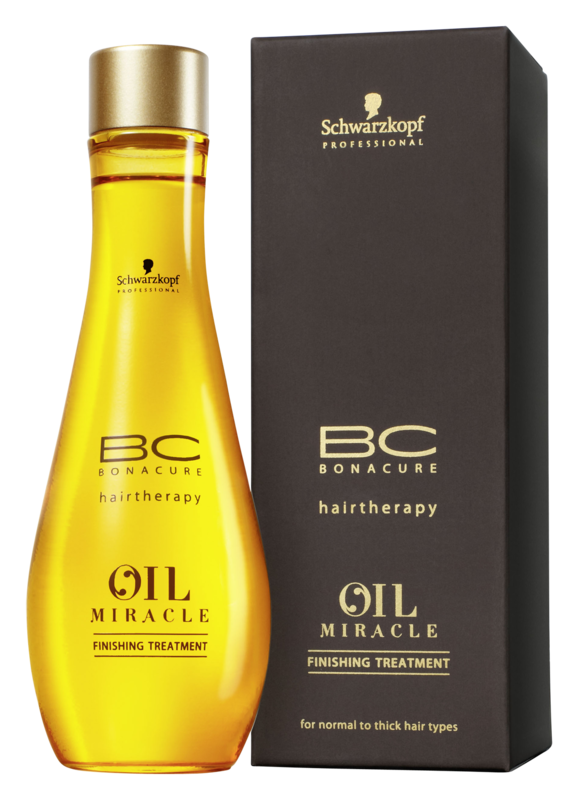 It does wonders to my hair really. 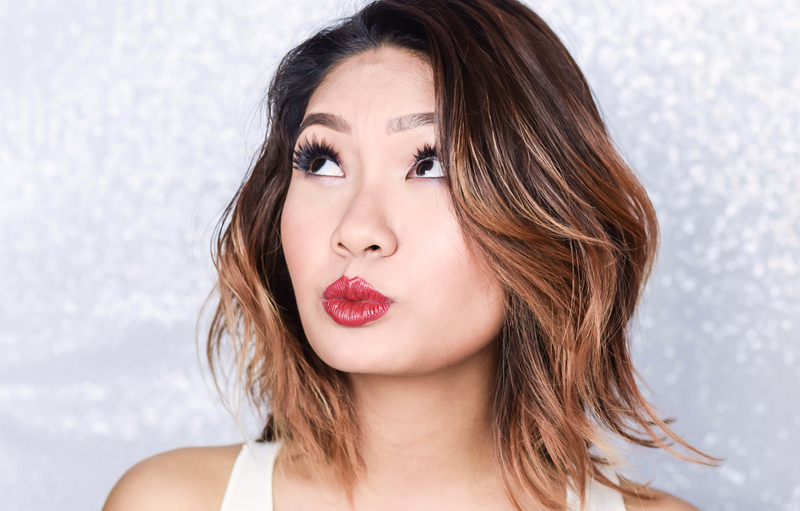 Hence with regards to this, Schwarzkopf Retail Malaysia is now giving a 'Thank You' gesture to its customers for their unyielding support. 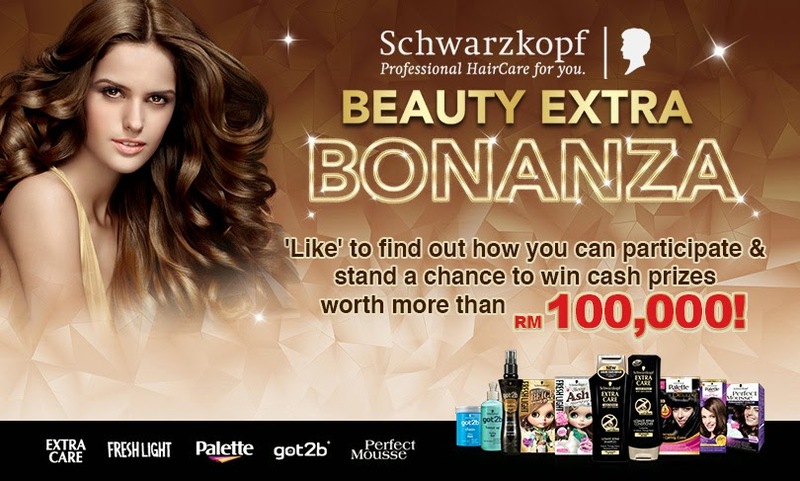 This month, Schwarzkopf Retail Malaysia unveils the Schwarzkopf ‘Beauty Extra Bonanza’ Contest; where cash galore await to be won just by answering one simple question related to the brand with any purchase on Schwarzkopf products worth RM30 or above in a single receipt. Fans of Schwarzkopf retail products and the uninitiated alike now have even more reason to pamper their hair with the brand’s many products with the whopping RM50, 000 cash grand prize. 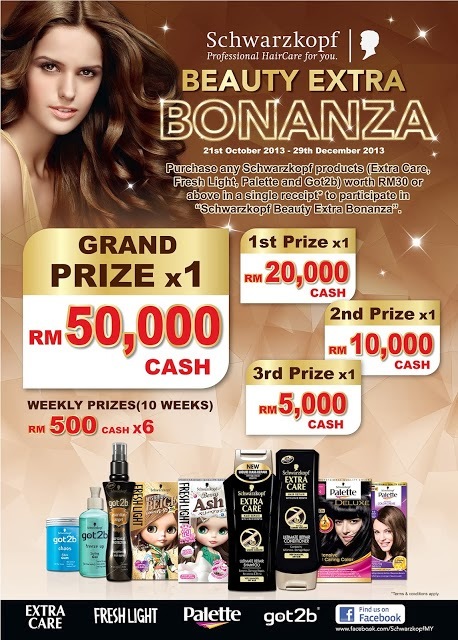 On top of that, lucrative RM20,000, RM10,000 and RM5,000 cash prizes are allocated for the second, third and fourth prize, respectively. 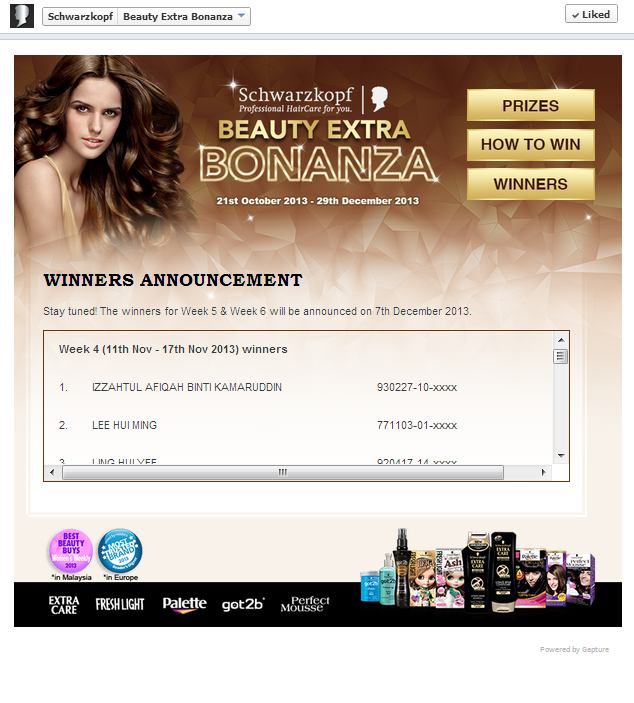 Each week, for 10 consecutive weeks, six RM500 cash prizes per week will be given away to lucky participants. 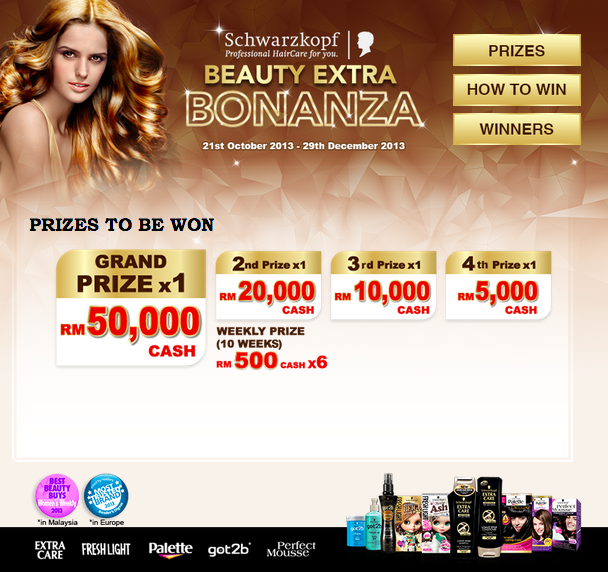 Whether it is to stock up on their favorite Schwarzkopf product or to try out the brand’s products for the first time, the period from 21st October to 29th December 2013 would be the best time for consumers to do so. Once this has been done, answer the question and fill in your particulars. Don't forget to attach the receipt of RM30 or more worth of Schwarzkopf products. So why wait? 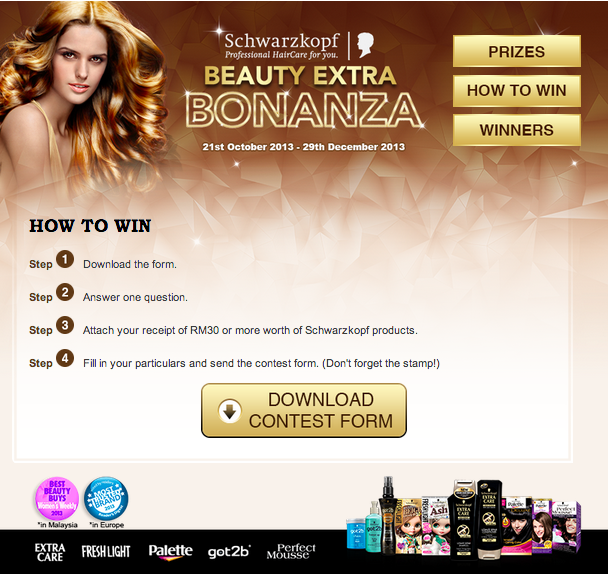 Have a go and enter while having the benefit of pampering your hair with Schwarzkopf products. 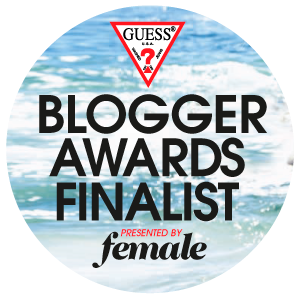 I am going to submit my entry as well so let's join in the fun together! Awesome! Thanks for the info babe!